Anyone who has ever had to share something with someone else knows that sometimes isn't exactly even. 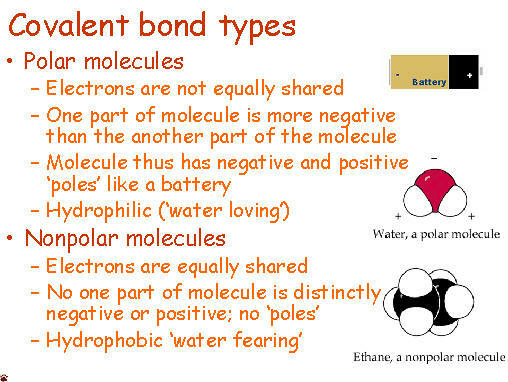 Covalent molecules or bonds are no different. If a molecules is nonpolar covalent, it is sharing its electrons equally. The best example of this is in diatomic molecules. Diatomic molecules are two of the same atom bonded together - so they would have exactly the same pull. Symmetrical molecules are also nonpolar. 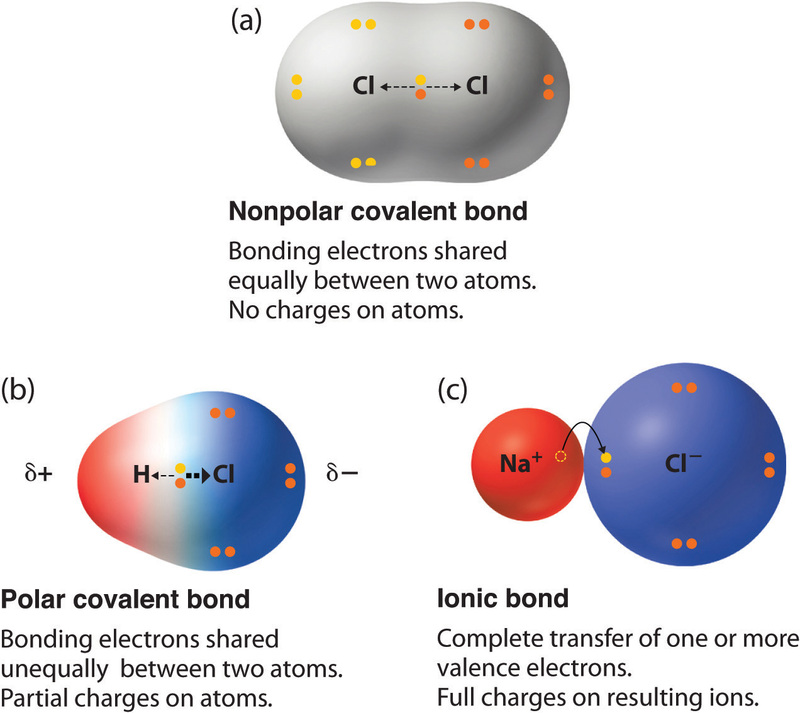 Polar covalent bonds occur when electrons are not equally shared. One atom, usually more electronegative, has a stronger pull on the electrons and shares them unequally. The other atom that is less electronegative has a smaller hold on the electrons and is thus can be slightly positive. One way to remember this is... "Polar Bears do not share... equally."